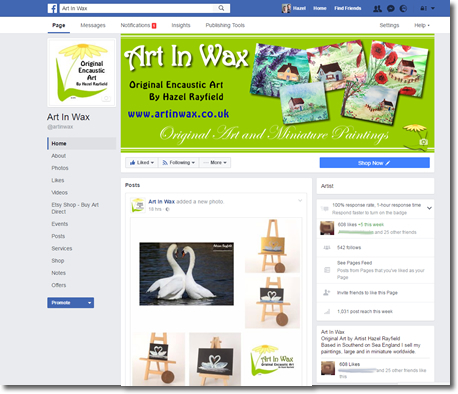 The Art In Wax Facebook page www.facebook.com/artinwax is where I show a lot of my work first nowadays, it is an ideal social media platform me. 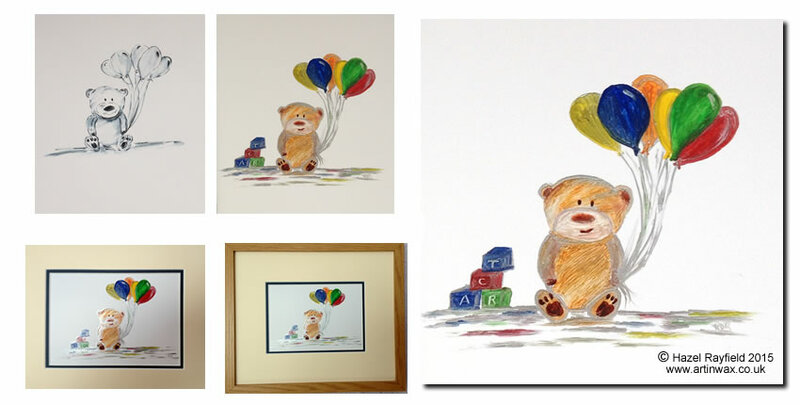 It is easy to use, allowing me to upload photos from my computer or phone, giving collectors and followers of my work an opportunity to see works in progress, and new works almost as soon as they are finished. 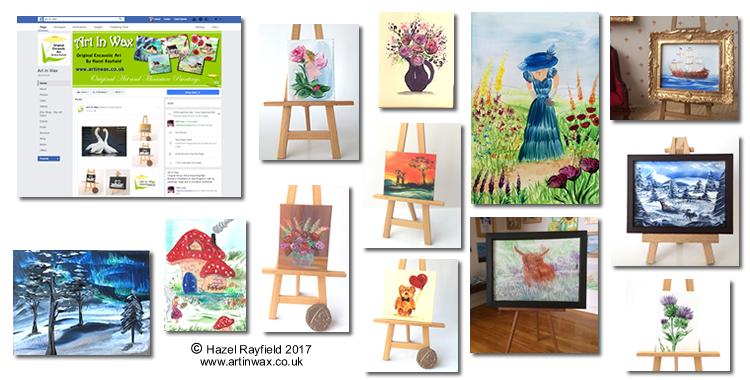 Facebooking about my art, especially my miniature dolls house pieces has proved to be a great way to share and sell my work online, I am a member of several groups on Facebook too and often I show pieces of art and they sell before they even reach my shops here and in Etsy. Which is great. Facebook is also where a lot of my commission work comes from. And it is a great place to connect with the people interested in my paintings and art in general. I have made lots of friends (not just Facebook type friends – but real friends) via my connections on Facebook. I love to know where my art ends up and the feedback from the people I have connected with has been amazing. These are just a very few of the Facebook comments I have had over the past couple of months. I have brought some beautiful art and my dolls house and shop look stunning with your pictures in. I also have your bigger pictures on stands which made beautiful ornaments plus my frames when I get round to finishing them. Absolutely fascinating to watch this video and gain a glimpse of what is involved with hot wax painting. Thank you so much for sharing it. To day I received the commissioned painting of a winter screen pictured above, and WOW WOW WOW its beauty blew me away. I cried when I saw it it is out of this world. I’m no conocer but I know what I like.